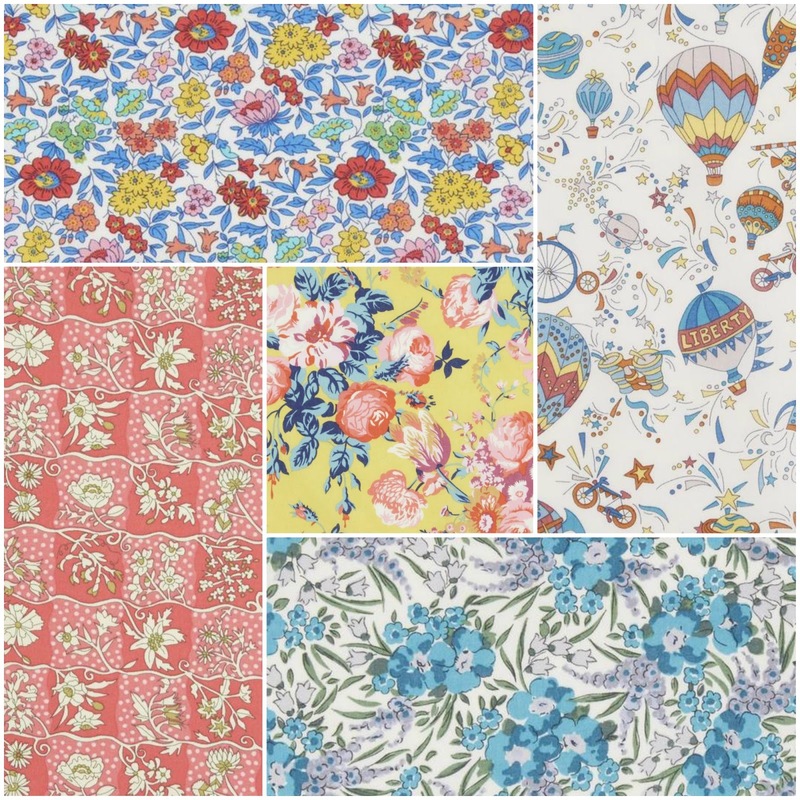 Alice Caroline, Liberty fabric specialists are delighted to launch two brand new Liberty fabric collections, Alpine Symphony and A Pocket Full of Memories for the Spring / Summer 2018 season. Alpine Symphony is a delightful collection of sweeping mountain vistas and wild flower meadows, and is a celebration of nature at its purest. The name Alpine Symphony was inspired by the Richard Strauss musical composition from 1915 – this dramatic piece of music explores from daybreak to nightfall the experience of climbing and descending an alpine mountain. Both the piece and the Liberty collection explore the emotional reactions to being awestruck by nature, its beauty, scale and power. The collection reflects the beauty in landscape and all the things that it can give - from extremely pretty alpine flowers to birds soaring the skies and animals hunting in the forests. Some of the names of the fabrics take inspiration from well-known characters linked to alpine mountains such as Heidi and the children of the Von-Trapp family. (Sound of Music). 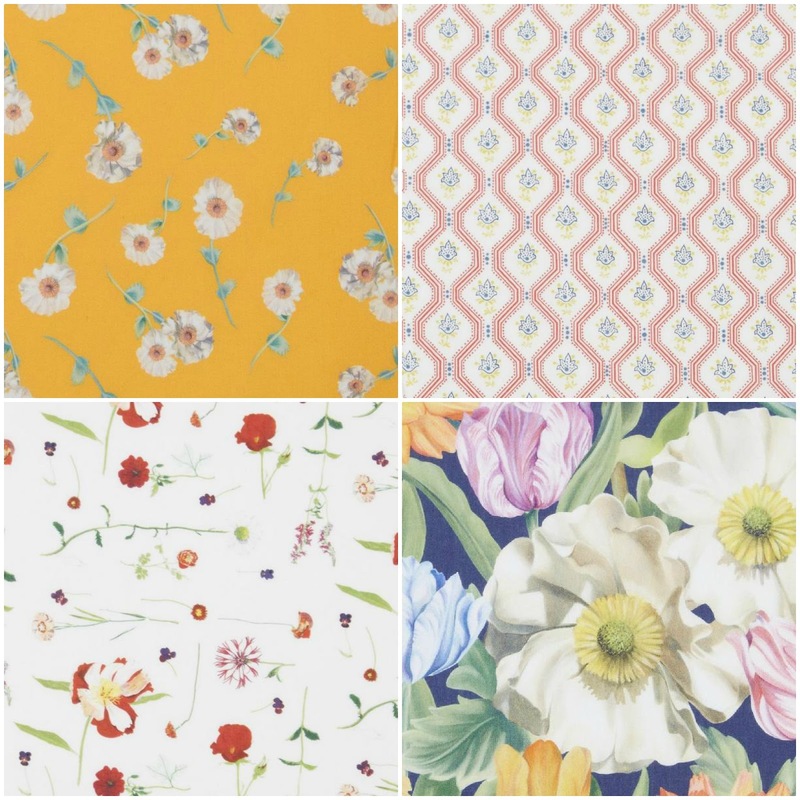 The collection includes themes such as On Flowering Meadows, Alpine Symphony, Fair Isle, Floral Orchestra, Heidi, and The Hills are Alive, which range from a tessellation of alpine animals to the blooming summer meadows, bursting with colour and life. A Pocket Full of Memories is the new childrenswear collection for the Spring Summer 2018 season. The inspiration behind this collection is of a child’s journey of exploration through a bustling city. From glorious gardens to magnificent museums, inspiring archives and splendid art galleries, the day is an action-packed adventure of stunning sights, sensational sounds and dazzling discoveries. This collection is a joyful collection of 16 original Liberty designs inspired by this marvellous day out. The designs have been inspired by the costume archive in the V&A, dinosaur designs by a trek to the Natural History Museum and flight inspired designs from a zooming visit to the Science Museum. Alice Caroline is delighted to showcase these two wonderful collections to the world of sewing and lovers of fabric. This collection is designed with high fashion in mind and we can’t wait to start dressmaking and of course quilt making. There is so much beauty and inspiration in the designs of these fabrics – both create a riot of colour and design from which to work. 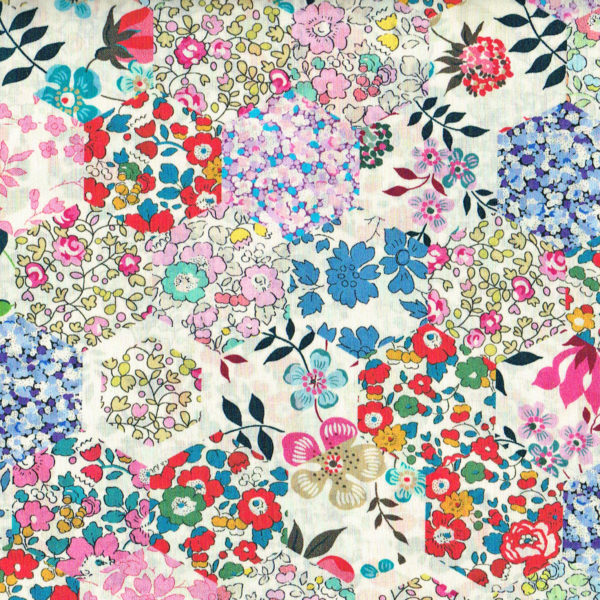 Alice Caroline stocks huge range of classic, new season and exclusive prints (more than 500 Liberty fabrics to choose from!) 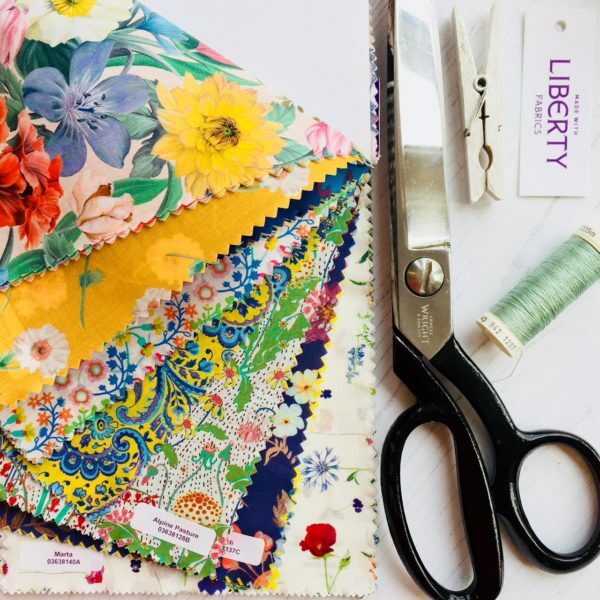 carefully curated to ensure they offer the best and, most lovely fabric Liberty has to offer. All fabrics ship worldwide. Both of these piles are beauties. Oh gosh.